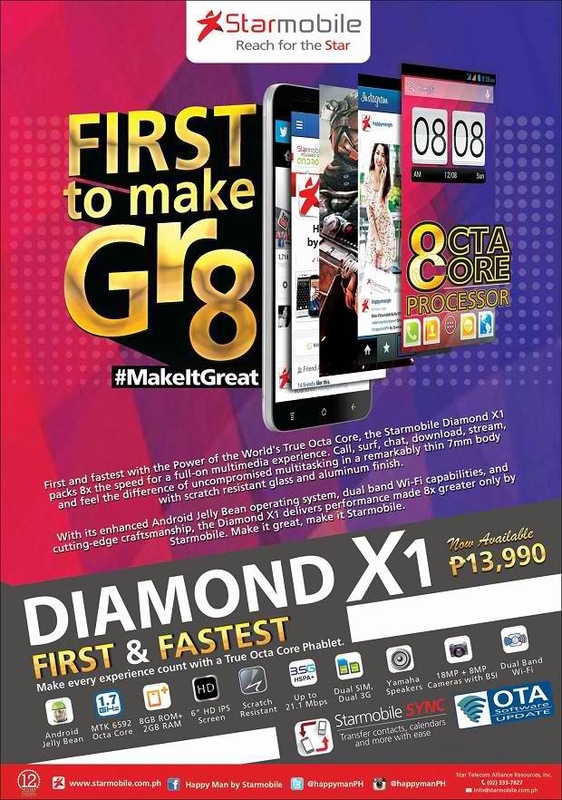 Starmobile recently posted on its Facebook page account the pricing of its first & fastest with the Power of the World's True Octa Core, the Starmobile Diamond X1. The Starmobile Diamond X1 packs 8x the speed for a full-on multimedia experience. Call, surf, chat, download, stream, and feel the difference of uncompromised multitasking in a remarkably thin 7mm body with scratch resistant glass and aluminum finish. For more details, blog, unbox and review about Diamond X1, check outStarmobile website and their Facebook Page. Visit the nearest Starmobile store, kiosk and accredited dealers for other inquiries.